Did Samsung actually plan to release the Galaxy S8+ with dual rear camera? This leak says, yes! Samsung announced the Galaxy S8 and Galaxy S8+ at an Unpacked event in New York last week. The most surprising announcement was the Galaxy S8+ with single lens camera at the rear. Almost every smartphone brand these days is donning the dual lens camera setup in their flagship phones, but not Samsung for unknown reasons. 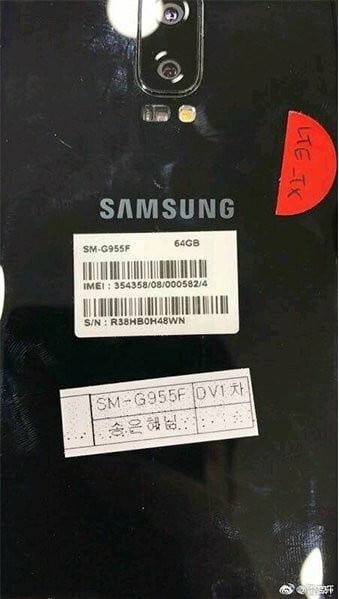 However, a new leak coming from China (techrum) revealed some images of the prototype unit of Galaxy S8+. As per the pictures, Samsung initially planned to include the dual camera setup in the Galaxy S8+, but later on, not decided to go with the setup. The leak suggests that the final design hasn’t approved by the team at the meeting. Also, the images show that the fingerprint sensor is not placed at the back, which means that Samsung planned to differentiate the Galaxy S8+ with the standard Galaxy S8 by various features. The reasons for the prototype design not making to the final version remains unclear at the moment, but we’re assuming it might be due to design. The images clearly show that the phone looks terrible with the dual camera at the rear. Samsung did not update the camera on the Galaxy S8 and S8+ but claims that the image processing would be much better than the Galaxy S7 series. Samsung will release the Galaxy S8 and S8+ with Samsung’s ISOCELL S5K2L2 sensor in some regions, while in other areas the phones pack Sony IMX333 sensor. 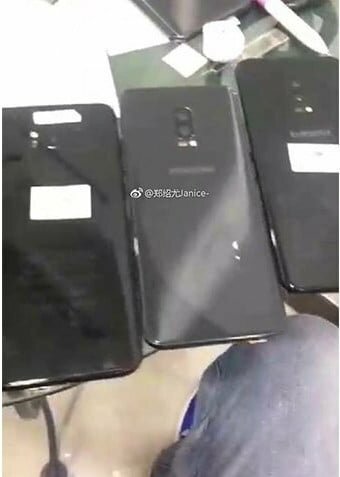 Interestingly, both the sensors are not yet released in the market, so the Galaxy S8 and S8+ are the first ones to pack them. It’s a sad to see Samsung differentiated the Galaxy S8 and S8+ only in terms of screen size and battery capacity. The Galaxy S8 packs a 5.8-inch QHD+ display, whereas the S8+ comes with a 6.2-inch QHD+ display. A smaller 3000mAh battery backs the S8, and the S8+ is fuelled with a 3500mAh battery. Rest of the specs are same including the 12MP sensor, Snapdragon 835 chipset, 8MP front-facing sensor, 4GB of RAM, and Bixby AI engine. Samsung would have at least added the dual camera setup in the Galaxy S8+ to make it far more distinct from the standard Galaxy S8.